One of Italy's smallest regions, Liguria, known as the Riviera dei Fiori, stretches west in a narrow ribbon along the coast from the French border. Mountains separate it from Piedmont to the north, Emilia Romagna to the east and Tuscany to the south. Even if you've never been there, you've probably seen its northeastern border in all those movies where glamorous jet setters hop into their sports cars and motor from Monte Carlo to Rome. Liguria is a land of contrasts, home to belle epoque seaside resort towns in the style of Cannes and Monaco. Its spectacular coastline has many sandy strands, rocky coves and pebbly beaches, famous ports, as well as desolate stretches where lush forests of lemon trees, herbs, flowers, almonds and pines send forth heady sweet-smelling breezes. Imagine relaxing at your own Liguria property and soaking up the art, culture and climate that this area offers. Terraced hillsides produce an olive oil that is considered more delicate than those grown in Tuscany. 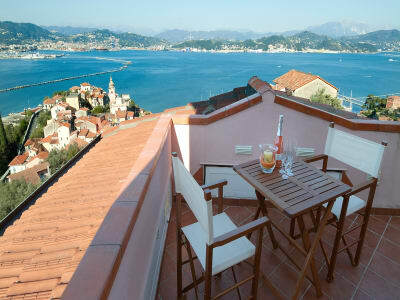 The Italian Riviera is renowned in Italy for its superb climate. The weather avoids the suffocating heat of the Southern Mediterranean in the summer months whilst retaining a warm and constantly sunny winter climate in the winter, encircled by the Maritime Alps which rise from the sea. Adverse weather conditions pass through the high mountains behind and the zone remains untouched by the freezing Mistral winds. 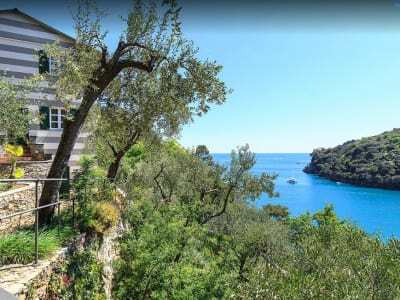 This is, therefore, a highly desirable place to buy Liguria property as a holiday home or a permanent residence. The beautiful town of San Remo, one hour's drive from either Nice or Genova International Airports, lies between Capo Nero and Capo Verde. It boasts an attractive harbour, called Vecchio, which has been a centre of San Remo life for over 600 years. Its world-famous casino offers the chance to gamble in sumptuous surroundings. San Remo truly earns it's epithet 'Town of Flowers' with luxuriant garden and parks abounding. 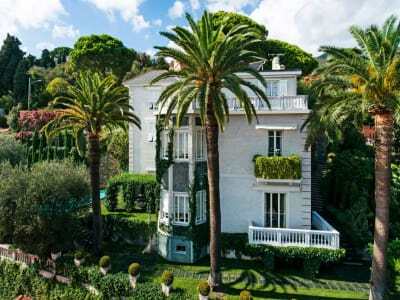 Buying property either in San Remo or in the rest of Liguria offers one the chance to enjoy the fabulous climate in one of the least known areas of the Mediterranean. There is a mix of the most beautiful classic villas and architecurally stunning apartments. 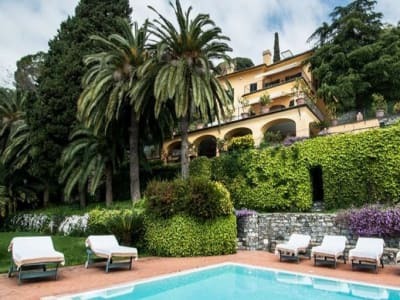 There has been extraordinary growth in the Liguria property market, both with Italian nationals cinque terre and non-nationals buying holiday homes and permanent residences, particularly Americans and English.